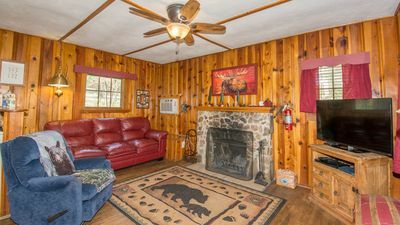 Lil Bear is a great two bedroom Cabin that Sleeps 4 - 5 with the couch considered. 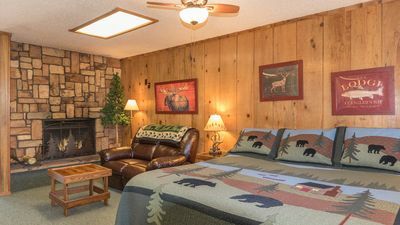 There is 1 King Bed and 2 Twin Beds and a bath with a shower. 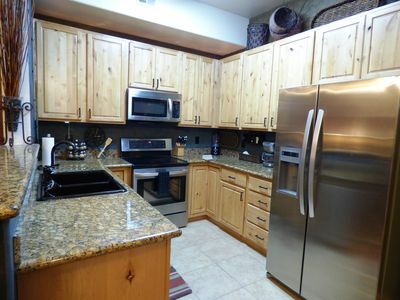 The cook will appreciate the full kitchen. 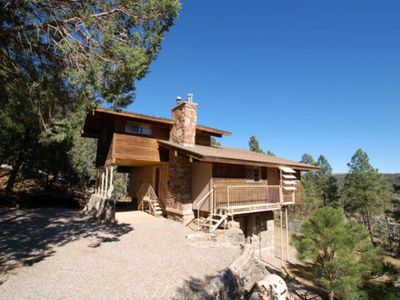 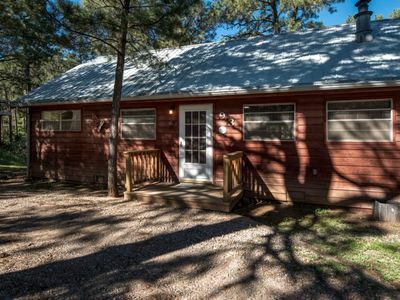 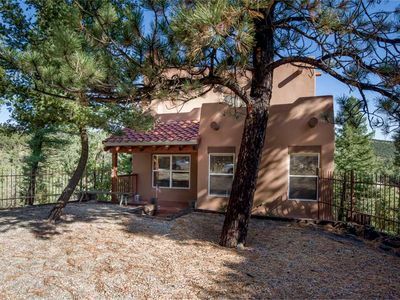 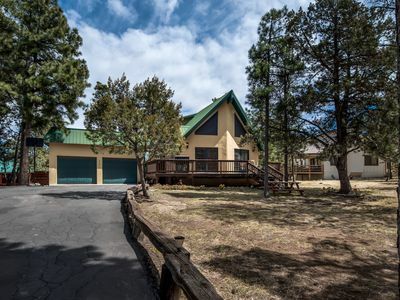 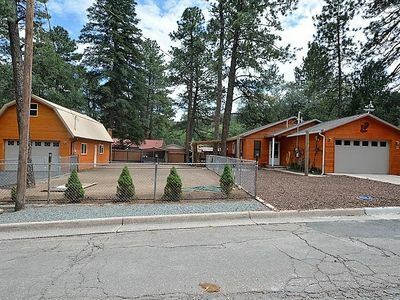 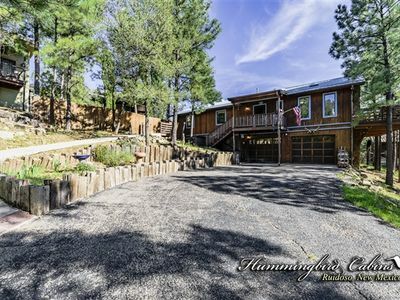 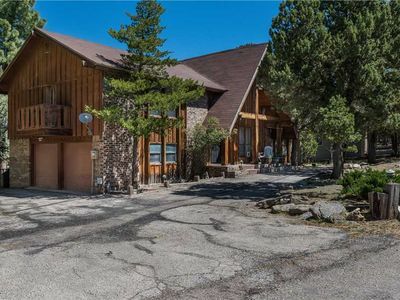 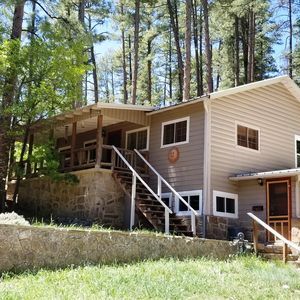 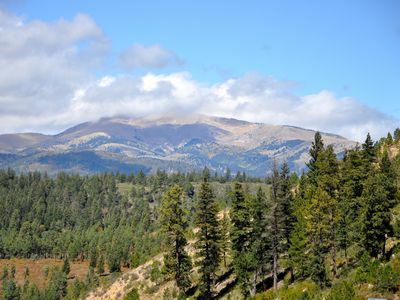 This cabin is a short stroll to the little river and a short drive to all of the attractions Ruidoso has to offer. 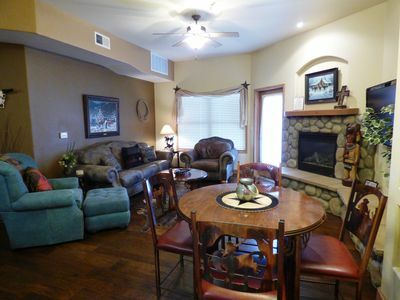 There is a large screen TV with DVD player and lots of cable channels. 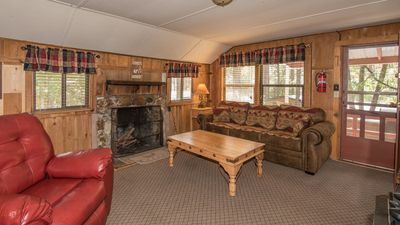 The free Wireless Internet will keep you connected to the outside world. 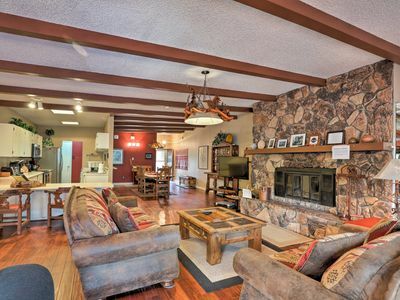 The gas fireplace adds to the mountain experience and the central heating & A/C will keep you comfortable no matter the season. 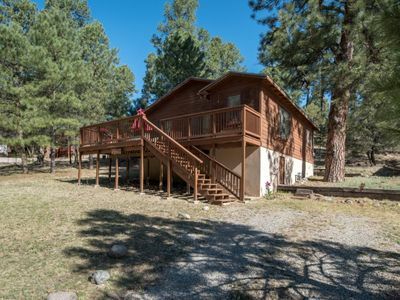 The large deck has a gas grill and a picnic table for your enjoyment. 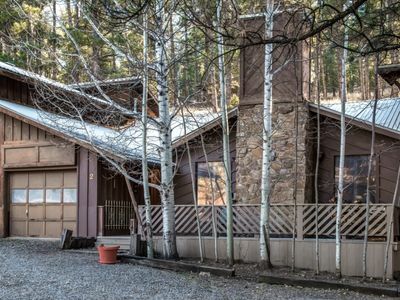 You have access to the hot tub at Whispering Pine Cabin which is just a few steps from your cabin and an awesome way to follow up a day on the slopes or power shopping in the village. 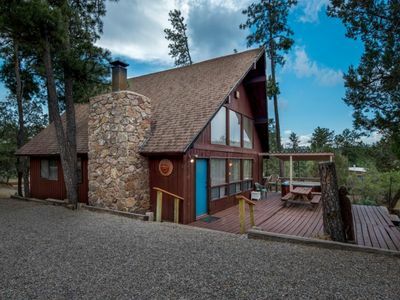 If your looking for a true cabin, this is the one. 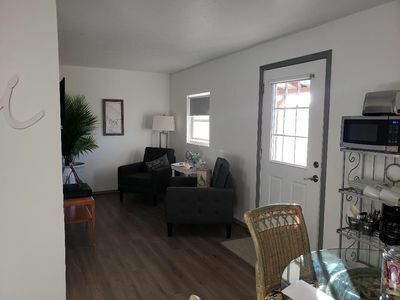 Great for a couple with children or 3 adults wanting separate beds. 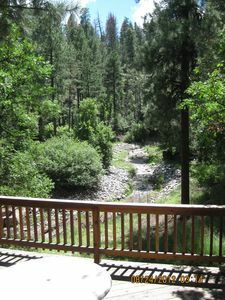 Paradise on the Falls Where the Sound of Water is Everywhere! 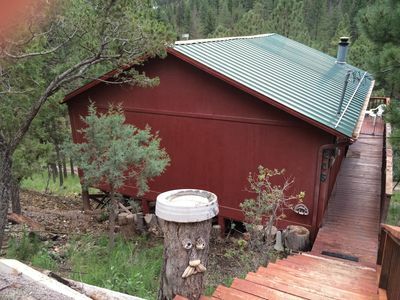 Baloo's Bunkhouse: "Bear's favorite hideaway' With hot tub.